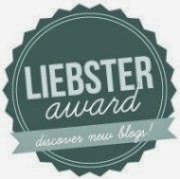 Fun fact: the fabulous Danielle of Live, Run, Grow nominated us for a Liebster Award! This question-trading blog series helps us all get to know our fellow bloggers. Read on for the answers to the questions Danielle set to us! 1. If you could run any race in the world, what would it be? JENN: I'm pretty excited for the WDW Marathon, but since I AM running it and the question seems to suggest a think-big mentality, I'm gonna say... the hypothetical Disneyland Paris half that doesn't technically exist yet. Or, if you insist on something real, maybe a race in Hawaii? MOON: I would run the Honolulu Marathon. JENN: Right, what she said. MOON: Haruki Murakami didn't start running until he was 33, I think. He's definitely a bit of an inspiration. He wrote a memoir about running and I remember a section on Hawaii. I figured if I ever sucked it up and started running again I would do that. JENN: So your dream race is "one run next to Murakami." Universe, can we set that up? 2. What is the best race you've run so far? JENN: Although my time was SOOOO much better at the Tinker Bell Half, I'm gonna go with the Princess Half because the entertainment level was so much higher throughout. The Annapolis Light House Half was boring and the Marine Corps 17.75K had too many HILLLLLLS. And untimed 5Ks don't count. But I have a lot of runDisney races coming up, so for the future: who knows! MOON: Hmm, well, since I don't have many to choose from... The Tinkerbell Half. The first time my body did something I didn't think it would be able to do. But, I agree with Jenn. The Princess Half was a lot of fun! JENN: OH MAN. All of them? MOON: I think the survey just ended. We'll be on this for days. MOON: I know one we can both agree on! Good Omens? JENN: Haha, yes! Terry Pratchett is AWESOME. I like Kurt Vonnegut a lot. And James Herriot. And C.S. Lewis. And Robert A. Heinlein. But these are authors. Books. Books books books. Boooooooks. MOON: Hmm, I also really like Vonnegut. I would say my favorite is Breakfast of Champions. JENN: I like Cat's Cradle and God Bless You, Dr. Kevorkian and of course Slaughterhouse-Five. Um... shall we just go on to the next question? MOON: Okay! But first I need to get a few out there: Peanut Butter and Jeremy's Best Book Ever!, The Unbearable Lightness of Being, and The Robots of Dawn. There had to be soooomething. JENN: True. Then off the top of my head: Lafcadio: The Lion Who Shot Back, Shoeless Joe, The Phantom Tollbooth, The Last Unicorn, The Door Into Summer. MOON: Haha, uh oh. This... I have noooo idea. I suppose I'll have to fall back on Arrested Development? JENN: You should've said that you don't understand the question and you refuse to answer it. JENN: I'm gonna go old school and way dorky and say "Star Trek: Voyager," because Tom Paris and I are that tight. But also "Psych." Let us never forget "Psych." You know that's right. MOON: "The X Files" for me. If ever there is a biography written about me, I'm pretty sure "The X Files" will take up at least a chapter of my high school days. JENN: That and our mutual devotion to The Doctor. 5. Is there a skill or talent you wish you had? JENN: Haha, you and me both. Let's see. It would be nice to be ambidextrous. And I still can't freakin' whistle. MOON: How about ambidextrous AND a polyglot? You would be the communication queen. JENN: No kidding. Which president was it who would write with both hands on two separate pages in two separate languages? Was that Jefferson? They just don't educate us for the real world like they used to. JENN: We've actually answered this before, so let's see if it's changed! MOON: Ha, I feel like mine will probably change. JENN: Mine was Eeyore last time. I still love Eeyore, but I think I might go with Mary Poppins this time around. Because Julie Andrews is the best. At everything. Ever. MOON: I would say Mary Poppins, but she's not technically a Disney character? Well, not Disney's creation I should say. JENN: Neither are a lot of them - Eeyore either! MOON: I would also want to say Emelius Brown... I'm going with Mr. Ray and Emelius Brown if I can. JENN: Okay, then I'm going pick that little blue fish who says I'M OBNOXIOUS! 7. What's the best job you ever had? JENN: I like my current job, actually. I work for a performing arts center and we've got a concert hall and an education center and a gallery and there's dance and music and it's pretty awesome. MOON: I haven't had my favorite job yet. But, my music students are awesome. 8. Is there a food you just can't stand? Okay, I have a REALLY REALLY WEIRD phobia. I am afraid of small round objects. Grapes and peas TERRIFY me. I don't like blueberries or cherry tomatoes either, but they don't get me like grapes and peas. You put a plate full of grapes on the table and I will edge around the room like there's a mosquito I need to watch out for. MOON: I once sat down next to Jenn for lunch, but I had a bowl of grapes. She got up and moved without saying a word. MOON: For me: pizza. I don't care for pizza. And meat, but I figured that didn't count as an answer. JENN: That's not true! We half the cheese and double the tomato sauce, and you're all about pizza. And I agree, because pizza sauce is AMAZING. 9. What's your favorite, can't live without piece of running gear? MOON: Asics? Is that too obvious? JENN: I would say my Yurbuds running headphones, which lock in my ears. Because a long run without music is a sad run. And music coming out of headphones that I keep sweating out of my ears are scarcely any help at all. So: hooray for Yurbuds! 10. What's the one tip you would give a new runner? JENN: I would say: get fitted for sneakers at a dedicated running store. It makes a world of difference and keeps your joints from revolt. MOON: I would say the same thing. I also feel that I don't have any authority to instruct anyone in the ways of running. JENN: Well, there is that. So maybe just say: try it! See if it works for you! Maybe not! But maybe so! And here are your ten questions! When your energy is flagging and you need a boost, what song do you play? What's the worst piece of running equipment you've ever made the mistake of using? What's your favorite way to fuel before, during, and/or after a run? Assuming practicality is no object, what's your dream race costume? What race should runDisney add to their schedule? How do you like to reward yourself post-race? If you became a Disney princess, what would you be like? Once and for all: who makes the best running shorts? Thanks for the nomination! We will do a post on this but I will answer these questions now from my perspective! 2. Right now i'm gonna say a pair of orthotics I have. I didn't really need them but wore them anyway and they gave me blisters. 3. Honeystinger waffles. IdK if they actually do anything for me though! But I like them. 4. There are so many choices here. Something Disney for sure! 5.since they already have a princes race and a race featuring the fab 5, Tinkerbelle, and now super hero's, how about a Pirate theme? 7. A day at MK! 8. I'd probably have better hair! 10. I have a pair of Nike compression shorts I love. Other than that, I really don't own a pair I don't like. Ooh, I've always wanted to try Honey Stinger waffles. Mostly, I just like waffles!